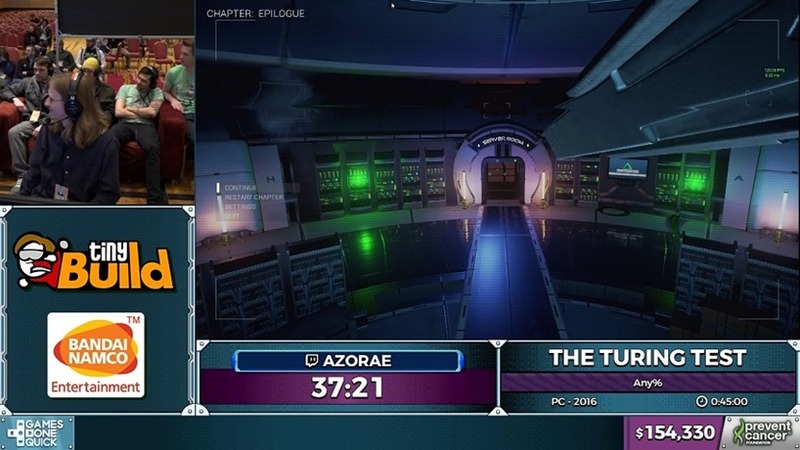 Games Done Quick only happens twice a year, but every time the week-long event kicks off I’m hooked. It’s primarily fun to watch runners from all over break, bash and otherwise dominate a wide assortment of games, from modern titles such as Dark Souls 3 down to age-old gems like Ducktales, The Land Before Time and more. It’s a charity event first and foremost though, and this year’s first event didn’t disappoint. In fact, it set records, with Awesome Games Done Quick being the first event in the history of the weeklong speedruns to break the $2 million mark. At time of writing, the total tally sits at a staggering $2,215,773.30, all of which is going to the Prevent Cancer Foundation. A whole $1 million was collected on the last day alone, with some of the biggest single donations ringing in at around $40 000. Previously Games Done Quick has always hit $1 million (ever since 2014), but this marks a new high for the event. The jubilation in the room when the counter rolls over brings a tear to my eye. The live event is over, but every single run has been archived and saved for prosperity over on the event’s YouTube page. This past week had some truly notable runs, particularly the Shovel Knight race which never let up on tension, and right down to the Undertale run that closed everything out. There’s something there for everyone, and it’s an easy way to get acquainted for the next time this world of speed running rolls around later this year. It warms my heart to see so many people come together and use videogames as a driver for some of the most selfless, important work this world could ask for. It’s why Games Done Quick has been a must watch for me over the past years, and I look forward to them breaking that $3 million ceiling very soon.